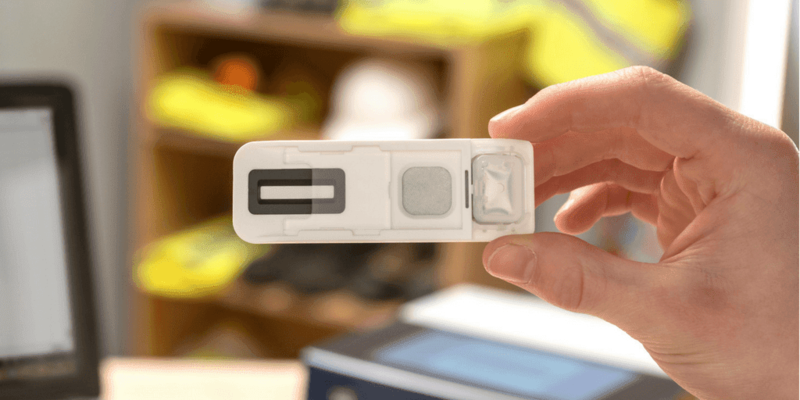 CAIS – a personal support charity providing in-patient drug and alcohol detoxification services – has run a successful pilot of the Intelligent Fingerprinting Drug Screening System – the world’s first fingerprint-based portable drug test. CAIS is focused on helping people recover from addiction and rebuild normal, productive lifestyles. 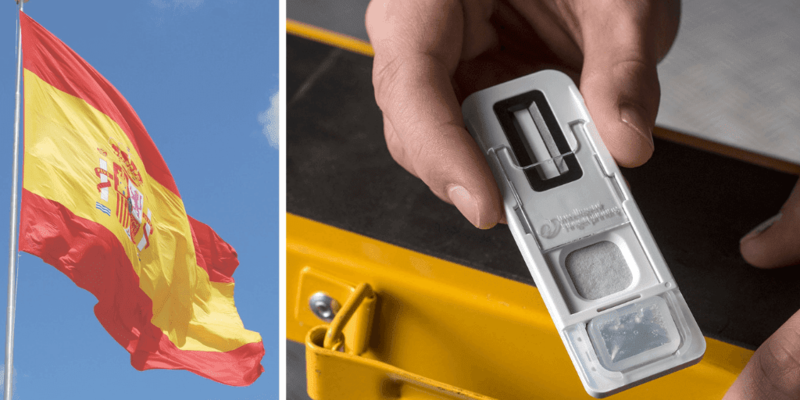 Results from its trial of Intelligent Fingerprinting’s system revealed highly positive feedback from both its detoxification clients and CAIS staff – confirming the drug test as portable, quick and easy to use, less invasive than other methods, and more dignified for CAIS clients. Nine out of ten CAIS detoxification clients who took part in the post-pilot survey said that they preferred being tested by the Intelligent Fingerprinting Drug Screening System in comparison to traditional screening methods that require urine or saliva samples for analysis. 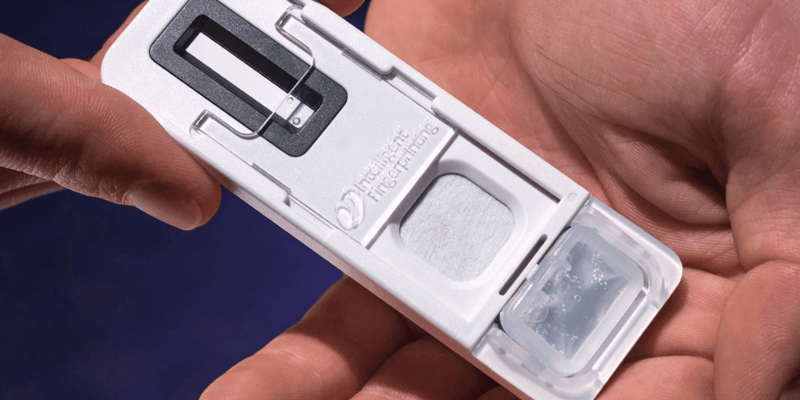 The Intelligent Fingerprint Drug Screening System features a single-use cartridge – which is used to collect the fingerprint sample in just five seconds – along with the Reader 1000, which analyses the cartridge to provide simultaneous test results for cocaine, opiates, cannabis and amphetamines in under 10 minutes. An introductory video demonstrating the technology is available here. CAIS clients have found fingerprint drug testing to be ‘more dignified, less embarrassing and less invasive’. According to CAIS staff, the screening method has been a ‘more convenient way to test, requiring only one member of staff’, and ‘certainly more efficient in terms of time taken to obtain samples as opposed to urine collection’. CAIS is a registered charity and leading voluntary sector provider of personal support services in Wales. CAIS helps people who are having problems with addictions, mental health, personal development and employment – as well as offering assistance and information to their families and friends. It offers a wide range of services, including residential treatment and rehabilitation, counselling, peer mentoring, supporting people in their homes, assisting people back into work or education, group work and other motivational interventions. The system is currently being marketed to the criminal justice arena, drug rehabilitation services, offender management and occupational health services. The technique has potential for many other uses including healthcare diagnostics and homeland security applications.